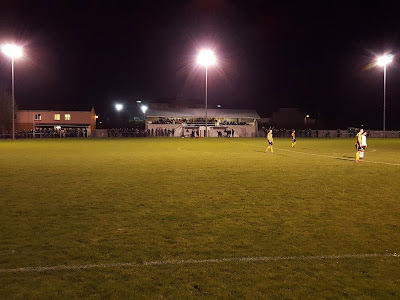 My fourth ground of 2019 was on Wednesday 23rd January at Poltair Park in St Austell, Cornwall. The match was St Austell vs. Falmouth Town in the South West Peninsula League Cup Quarter-Final. Poltair Park is located in a largely residential area close to the town centre so has housing to the east, south and west of the ground. There is also a bowling club to the south with a secondary school to the north. A quarter of a mile north-west of the town's railway station, the venue has been home to the club since the early part of the 20th century after they departed their original home at Rocky Park. The northern side of the ground has a large gap between the pitch and the spectator areas. The sole stand at the venue is an unusual concrete structure with an elevated seating area of 5 rows of concrete with wooden benching appended to it. The interior of the stand has the dressing rooms and the two dugouts and placed in front of this. Directly behind this stand is a neat little clubhouse and with a small decking area outside with a picnic bench on it. To the east of the stand is a narrow strip of hard standing which is limited in space due to a fence separating the field area from the car park behind. To the west of the stand the strip of hard standing resumed but with no car park there is space for a grass area behind this. Towards the western end there is a tea hut which includes a small covered standing area. The rest of the ground was previously very basic with a wooden barrier separating grass areas from the pitch. Over the years since the turn of the century the venue has been upgraded on the remaining three sides as well the installation of floodlights which were turned on in 2012. The southern side has a strip of hard standing for its length with a large grass area behind this. The eastern and western ends are similar with both having hard standing for their length and grass banks behind these. There is then netting at the top of this in light of Poltair Road at the eastern end and housing at the western end. 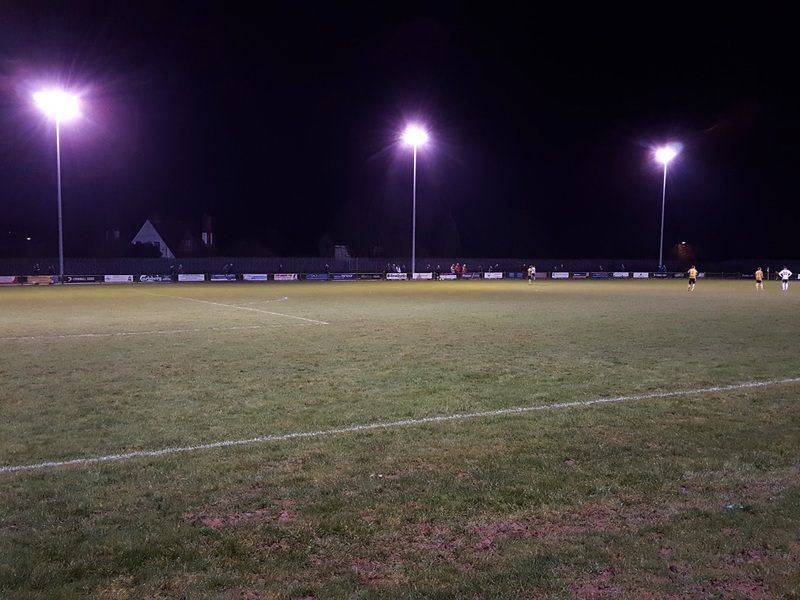 Despite the upgrades the club were denied promotion to the Western League in 2015 after they failed ground grading requirements. 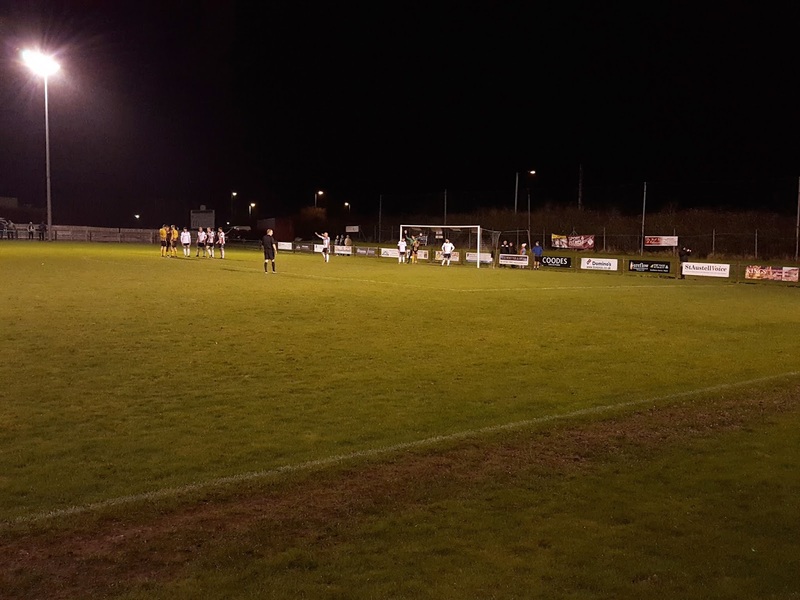 This South West Peninsula League Cup Quarter-Final tie was between the two previous winners of the competition. Both sides were also riding high in the Premier Division this season so it was no surprise that the game was a close contest throughout. After a quarter of an hour the away side had the ball in the back of the net but saw the effort chalked off for an offside. 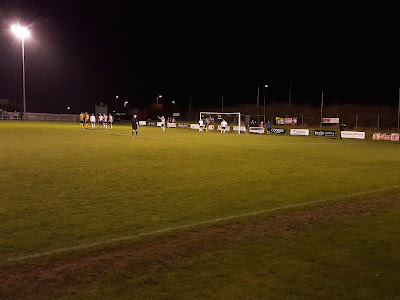 In the 31st minute St Austell had their best chance of the half as Jack Calver raced down the left, drilled an effort towards goal and saw his shot deflect off a defender and go just over the bar. The competitive first half gave way to a messy first period of the second half as both sides showed little quality with frequent turnovers in possession. Out of nowhere the only goal of the game arrived in the 69th minute. A nice lofted ball from the middle of the field headed towards the St Austell goal. Falmouth's Tim Nixon got to the ball just ahead of home keeper Jason Chapman and knocked the ball up into the air. It landed at the feet of Jordan Annear who stroked the ball into the empty net from the edge of the area. With a quarter of an hour to go Falmouth had a good chance to scored again after a bad error in the middle of the pitch allowed Annear to be played in on goal. Once again Chapman came out to meet the attack but this time he narrowed the angles sufficiently so that Annear's 20 yard curled effort went just wide. 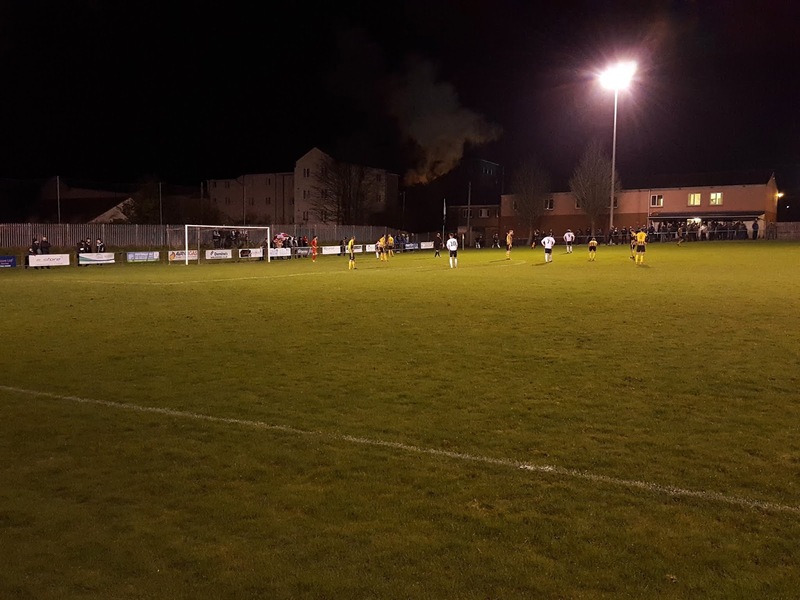 St Austell tried to get back on level terms in the final minutes but let themselves down with some really sloppy passing allowing Falmouth to run down the clock with counter-attacks. The closest the home side came was Martin Watts' header which was saved on the line with six minutes left to go. Falmouth rode out the rest of the game taking a big step towards retaining their League Cup crown.